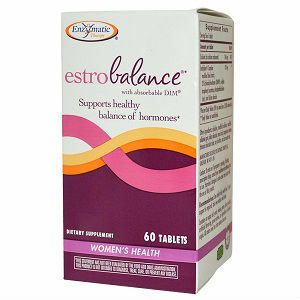 Claiming to support estrogen balance and fat metabolism, promote breast wellness and healthy cell development, Estrobalance has helped many women who have suffered with hormonal imbalances such as PMS and menopause. Although there have been consumers who have found their experience less than satisfactory, others have been quite pleased with their results. The above average success rate of this particular product, deems it worth a closer look. According to Enzymatic Therapy, 1 tablet of Estrobalance should be taken daily with food. It is recommended that if extra support is needed, users increase dosage to 2 daily tablets. When purchasing Estrobalance, two different packages can be chosen. For $27.39, customers will receive 60 tablets, equivalent to a 30-60 day supply. However, for those who are wanting a smaller package, 30 tablets (equivalent to a 15-30 day supply) can be purchased for $16.19. Upon completion of research, it has been concluded that no guarantee is associated with this particular product. Actually, Enzymatic Therapy states that if a product is open, it cannot be returned at all. This could easily create difficulty for any unsatisfied customers. Based upon the information above, it seems that Estrobalance does carry many positive aspects which could really assist women who are experiencing hormonal imbalances. However, alongside these positive aspects are negative elements. The first element of concern addresses the benefits. Although it is true that this product does promote healthy estrogen levels, it says nothing about specifically assisting in the relief of menopause symptoms. Due to this fact, many consumers may begin to wonder if Estrobalance encompasses the right ingredients to help with their menopause symptoms or is it too broad by helping all women with simple hormonal imbalances. Because women do not know up front exactly how this product will help to reduce their symptoms, users may be buying an invalid product. A second concern revolves around the guarantee. Because Enzymatic Therapy specifically states that no product can be returned after it is open, there is no hope that women will be reimbursed for void success or dissatisfaction. Therefore, each new user of Estrobalance is risking their money on a product that may provide no relief. Jackie Horowitz	reviewed Enzymatic Therapy EstroBalance	on May 16th	 and gave it a rating of 2.